Home|News & Blog|What is the state court appellate process in Texas generally like? What is the state court appellate process in Texas generally like? To clarify, we’re talking here about a typical appeal and not an original proceeding (mandamus) or other emergency expedited appeal. This is the time to request findings of fact and conclusions of law: Finding out the trial court’s reasoning for its decision in a nonjury trial. It typically will also involve possibly motions for reconsideration or motions for new trial that must be filed within 30 days of the judge signing a final judgment. It will also involve the notice of appeal, and request for the clerk’s record (documents and orders filed in the case) and reporter’s records (transcripts and exhibits from the hearing/trial). These requests generally will be filed within 30 days if there was no motion for new trial timely filed or within 90 days of the judgment if a timely motion for new trial was filed. At that point the reporters and clerk’s records will be due in the Court of Appeals basically within 30 days after the filing of the notice of appeal. Within 30 days after the clerk and reporter’s records are filed, the first brief (the person appealing) is due. And 30 days after that the response brief (the person defending the judgment) is due. Then the person appealing has one last chance to do a reply brief within 20 days after the response brief. Also keep in mind that some of these briefing deadlines are subject to 30-day extensions, and a party may even obtain multiple extensions. Also, in rarer cases, even more briefs can be filed addressing different issues or replying further. So that can lengthen the process. After the filing of all the briefs, the case is then submitted typically to a panel of three of the judges on the Court of Appeals, not the entire Court of Appeals. This may be done just on written submission on the briefs or after an oral argument. Oral argument will typically be scheduled in a few months after all the briefing is concluded if the Court of Appeals decides an oral argument is appropriate. The appellate judges do not hear any new evidence or witnesses, they look backwards at the trial and hearing transcripts and at the written documents and orders filed in the case. These are compared with the legal arguments and law. Sometimes this is called a cold reading of the record. But generally nothing new can be introduced to the appellate court. At that point when the justices have submitted the case, the length of time for them to decide it and write an opinion is not under a deadline, but typically will take at least a month to several months depending on the complexity of the appeal. But there is no magic predictor of the time it will take. After the release of an opinion, there are some quick deadlines to file a motion for rehearing in the Court of Appeals. A rehearing is not required but sometimes it is a good idea to file one. This can be a request for rehearing by the panel of three judges that heard the case, or a request for the entire Court of Appeals to re-decide the case. There are also deadlines to ask the Texas Supreme Court to review the Court of Appeals’ decision. Either party can request or file for a petition in the Texas Supreme Court. That is the subject of another blog entirely. Once a case is final, then a Mandate is issued informing the trial court of the final decision. Assuming no action in the Texas Supreme Court, the Mandate is issued after the appeal goes final. What does this look like overall? Well, I have found the average appeal will take 6 to 12 months. Some can be expedited and occur more quickly, and certainly some can take longer, and even much longer depending on the issues. A lot of it is up to the Court of Appeals and depends on how many extensions are obtained during the appeal. Bottom line, it’s not always a quick ride. Some cases can even take multiple years from beginning to end. 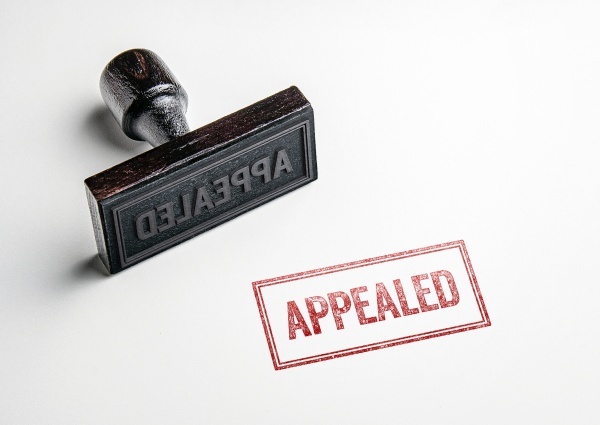 Appeals are important and meaningful to everybody involved, but they do require some time and patience in most cases. Brad LaMorgese is one of the few appellate family lawyers in Texas. During his nearly two decades in practice, he has achieved success in dozens of cases in Texas appeals courts and the Texas Supreme Court, as well as the U.S. 5th Circuit Court of Appeals. He has handled appeals involving all areas of family law, including interstate and international custody, property division, award of property, habeas corpus, grandparent v. parent rights, bill of review, post-divorce disputes, alimony disputes, parentage issues and father’s rights. Is There a Deadline for Me to File an Appeal of a Judgment? Is it true that the judge has to tell me the basis of the ruling after trial? Should I file a motion for new trial if I receive a bad ruling from the trial judge? What is the process for an appeal in Texas and how long will it take? What does the standard of review mean on appeal in a family law case in Texas? What is the Process to go to the Texas Supreme Court in an Appeal?